This highly rated pergola kit is made of Western Red Cedar and will gently invite you to enjoy more time outdoors. Pieces are crafted with precision and their quality is guaranteed. Post mounts aren't included but are recommended. They can be added depending on whether you want to anchor to an existing slab or allow the anchors to set up in new concrete. Basic tools are needed to install. All hardware is shipped with the kit. 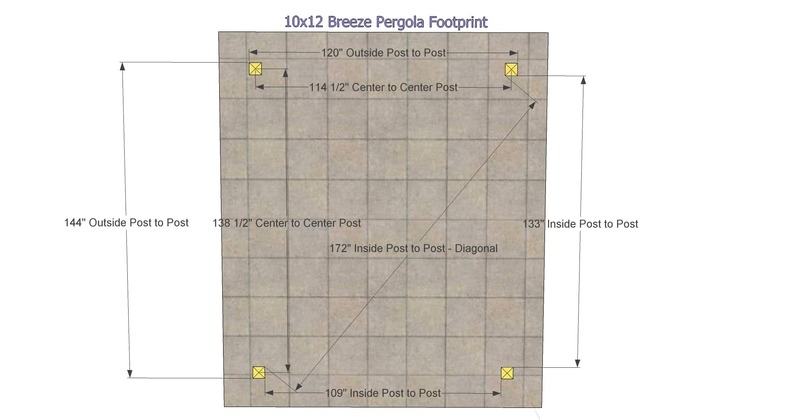 Posts are 5 1/2 inches x 5 1/2 inches and are engineered to reduce checking and twisting. The top rafters criss cross in both directions at the top, making a beautiful design. Take advantage of Outdoor Living Today's customer support line (1-888-658-1658) with any assembly questions. We will ship directly to your driveway. You may be required to help the delivery driver offload the crate (15 min).